Have you ever wondered why certain people don’t hesitate to say or do things you wouldn’t even think of? I’m not talking about the dreams that you’re afraid to embrace or accomplish, or what you wish you had the confidence to express; I’m referring to those things you couldn’t see yourself upholding because you know they hurt or even destroy our humanity on some level: what you’d like to fight or counteract somehow. I used to think that some individuals were so wounded that they couldn’t help but make choices that disconnected them even further from their divine nature. You know, like the sociopaths you often see in movies and TV shows who clearly had extremely abusive childhoods. But then I had to face the psychopathic nature of my own sister, who had quite a privileged life and none of the traumas we assume mentally disturbed individuals have endured. Later I also got to counsel some courageous souls with a harrowing past who not only had managed to grow bigger than their traumas but who had turned them into fuel for a purposeful path to help others. I used to think it was the result of tendencies from past lives—and I still believe this is a big part of it—but I knew that there had to be more to it than just the imprints of previous experiences. Perhaps these were not only personality traits but qualities emerging from an inherent wiring reinforced over lifetimes? It took me years, however, to come to a real, experiential understanding of the interplay of the Feminine and Masculine principles of Creation and how these affect our perception and behavior in the physical world. I had learned about it in theory, through my exploration of Vedic philosophy, but when I began recognizing differences between people not just as psychological characteristics but on a deeper, spiritual level, things began to make sense in so many ways! My own perception expanded once I aligned it with these two essential principles. 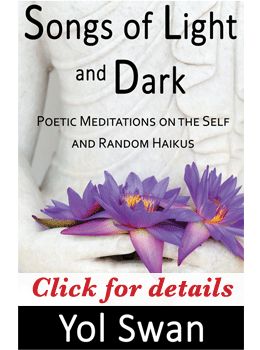 Infinite Consciousness is perfectly neutral and perfectly still, like an eternal void. To manifest, it splits into the Divine Feminine and the Divine Masculine interacting on all levels, including that of individual souls. Some of these sparks of Consciousness emerge from the Feminine—the receptive, creative, expansive quality of Creation—while others belong to the Masculine—the active aspect that animates everything. 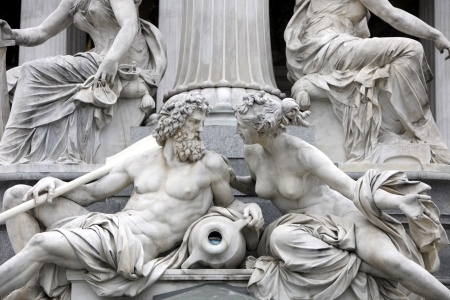 If you can appreciate that absolutely everything exists, changes, and evolves through the interaction of the Feminine and Masculine, then it’s easy to infer that the Cosmos itself requires alternating feminine and masculine cycles to continue its expansion, just like we need night and day to live. And that’s how we got to be in this masculine cycle that is soon coming to an end—because it has reached the extreme of masculinity. To make it possible, certain soul types had to be involved, pushing and upholding masculinity at every level. But now it’s time to awaken the Feminine within to bring balance. It’s starts by understanding who you really are. What Is the Deepest Longing Driving Your Desires and Behavior? The key idea here is that of a deeply ingrained yearning for your true nature, something you’re always seeking, in everything you do and perceive. For instance, codependent as I was, I used to believe that if I found the right man to establish a loving relationship I’d be happy and fulfilled. But I wasn’t. Then I became a mother and discovered what love was really about; a life-long desire to experience it was satisfied, but it still wasn’t enough. No matter how many relationships I went through and how much love I felt for and from my daughter, there was a much deeper yearning still unfulfilled: finding my life and soul purpose. In fact, when I realized that all my relationships and worldly pursuits were motivated by a creative and spiritual drive, something inside calmed down. This is one of the main aspects that make me an Indigo adult—that is, a deeply sensitive, creative, and empathic feminine soul with the masculine, discerning, goal-oriented qualities that drive my perception and actions in this world. So the question for you here is: what is your deepest yearning? If you could have everything you wanted: loving relationships, money, children, success, recognition, power, and so on, what would you hold dearest? What could you not live without? Once you answer this question, peeling all the false desires the ego-mind pushes you to pursue, from a wounded place, you’ll discover the core of your nature and your soul type. It was clearer when you were a child, because in the process of individuation you acquired conditioned behaviors and a distorted self-perception that veil your true nature. Why is it important? Because once you recognize how you’re wired you can start developing what you need to navigate life more empowered and clearer about what you truly want and how to accomplish it. In other words, you’ll find your center and act from it instead of chasing illusions that disconnect you from your true nature, leaving you unmotivated and dissatisfied. Plus, you’ll understand why your viewpoint is the opposite of certain people and, if you’re a feminine soul, why this overly masculine world doesn’t make sense to you. Ask yourself, what is the main archetype you resonate with or would like to become? 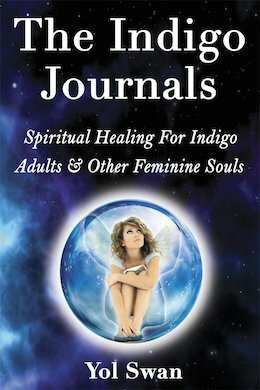 Get The Indigo Journals to learn about the Feminine-Masculine Soul Spectrum I discovered, to better understand yourself and others, and acquire spiritual tools to heal and transform the planet through your own transformation. And if you’re ready to delve even deeper, contact me today to get started on an individualized journey of self-discovery and energy management to comprehend who you really are and what you truly want, break free from codependent, toxic dynamics, and find your place and purpose here.